Rhea is a world-renown autism researcher at the Yale Child Study Center at Yale School of Medicine and is Professor of Communication Disorders at Southern Connecticut State University. She received her B.A. from Brandeis University in 1971, her Ed.M. from Harvard Graduate School of Education in 1975 and her Ph.D. from the University of Wisconsin-Madison in 1981. 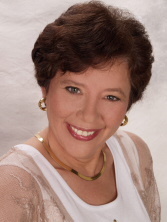 Rhea has published over 70 articles in refereed journals, and authored seven books. Her research on language development in toddlers with delayed language acquisition was funded by the National Institutes of Health. Rhea has been a Fellow of ASHA since 1991, and received the 1996 Editor’s Award for the American Journal of Speech-Language Pathology. She has taught language development and disorders for 25 years. Her current work focuses on early communication in toddlers with autism, and prosody and pragmatics in speakers with autism spectrum disorders. Support for these projects is provided by the National Institute of Child Health and Development, the National Institute of Deafness and Communication Disorders, the National Institutes of Health Studies to Advance Autism Research and Training, and the National Alliance for Autism Research.